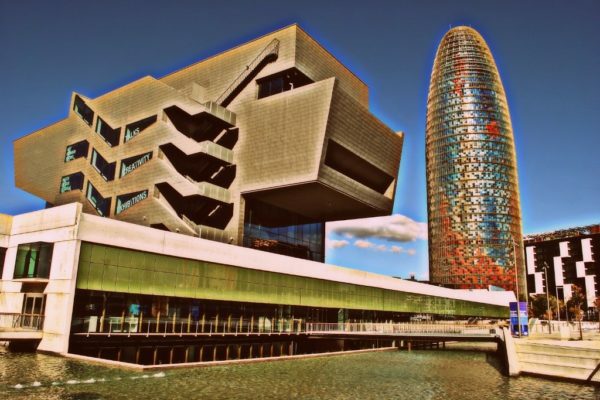 The main attraction of the area is the Glories Tower Agbar, which is a huge cucumber towers over the Barcelona skyline. Now this building is the headquarters water company "Aguas de Barcelona", and soon it is planning to open a luxury five-star hotel. Opposite the Agbar Tower is a shopping center Glories, where a lot of clothing stores, playground, supermarkets and cafes. Along Diagonal Avenue are modern office buildings, which are on the border of the new technological district 22 @. This is a prime example of the transformation of an industrial zone in an innovative area with green areas, using alternative technologies, affordable housing and beautiful public spaces. Among the interesting buildings this part of town stands Design Museum DHUBfuturistichesky Center Media-TIC and the Museum of Catalan Art Can Framis, located in a former textile factory end 18 century. 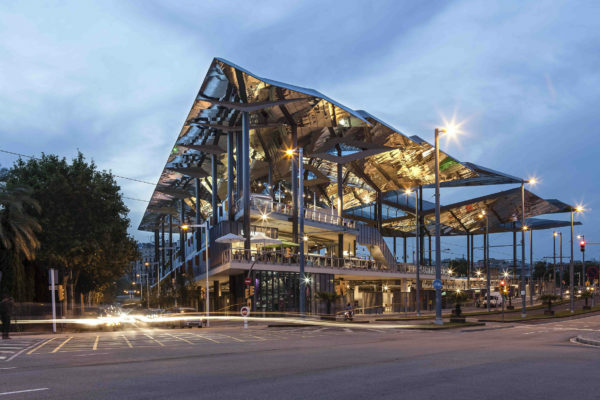 It is also near the metro Glories is the most famous flea market of Barcelona Enkants, who has recently moved to a modern building, the roof of which is composed entirely of mirrors. Here you will find antique furniture, clothes, books, wheels, collectibles and more.